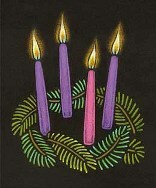 On Monday, December 1st, RevGalBlogPals will be hosting a Virtual Advent Retreat. Over the course of the day (early morning, late morning and mid-afternoon, Eastern Time), three facilitators will post reflection pieces on texts for Advent 2, 3 and 4. Read more about it here. I hope the Retreat will make room for a "quiet day," provide some resources and inspiration for the Advent season and build connections among those who participate. You don't have to be a ring member to participate, so come and join us! That’s a lovely idea. I have a hellacious writing schedule next week, so I probably won’t be able to pop in, but if I can, I will.